Kitchen remodeling service in Fort Worth, Aledo, Southlake & Grapevine, Texas. Family/Living room remodeling service in Fort Worth, Aledo, Southlake & Grapevine. Room additions in Fort Worth, Aledo, Southlake & Grapevine, Texas. If you’re thinking of adding a new look to the interior of your home that also increases it's value, we’d be more than happy to help. 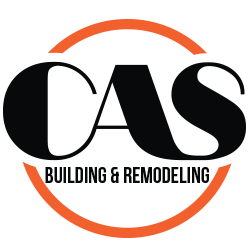 With more than 25 years of solid experience in interior remodeling, CAS Building & Remodeling is the turn-key builder for you! Here at CAS Building & Remodeling, we know that your kitchen is one of the most important rooms in your home. That’s why we invest our experience and expertise into making your dreams a reality. Every household has a different take on how their kitchen should look and function.We’ll work alongside you through each stage, at a speed that suits your schedule and budget. Materials, designs, appliances and personal tastes are kept in mind throughout each project to ensure that you get the kitchen you desire. We know that your bathroom is a special place—that’s why we employ our specialists to work in conjunction with our clients each and every step of the way. Whether you are interested in a total refurbishment of your bathroom or simply wish to upgrade a feature, we can help you get there without any hassle. We will take your budget into consideration and listen to your ideas in a way that our competitors simply do not. We are a family owned and operated business and feel that we can carry these qualities over when helping you transform your bathroom into a delightful space that adds value to your home. CAS Building & Remodeling can help you modernize and restructure your family room into something a little more exciting and authentic. We are available to assist with remodeling your foyers and entryways and we specialize in 2nd story additions no matter how large or small your budget may be. Avoid all of the headaches and costs that go along with moving by adding more living area to your family’s current home. WHY CHOOSE US FOR YOUR INTERIOR REMODELING? Our services are always available for all aspects of your interior remodeling desires. With whatever project you have in mind, we guarantee that we’ll work together for the very best result. CAS offers a turn-key service for our valuable clients and this means that we will be with you from the very beginning through to the actual realization and construction of your interior remodeling requirements. Unlike other remodeling companies, we always work in conjunction with our clients and we’ll always incorporate your ideas, however large or small. CAS Building & Remodeling has the right mix of experience and expertise to ensure that you will enjoy the completed project while it adds value to your home.